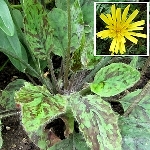 A delightful autumn-flowering woodland plant, with leaves shaped a little like ivy, though more tapered, strongly patterned with silver-green markings. 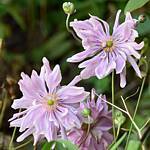 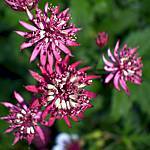 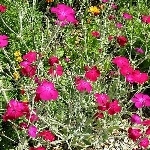 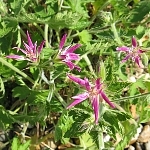 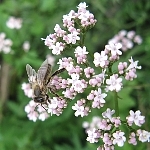 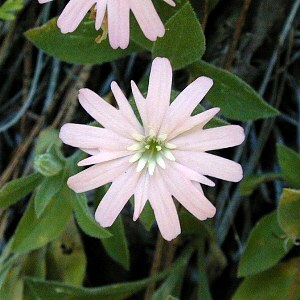 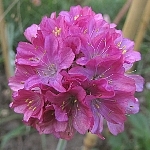 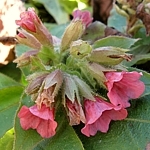 The flowers are pink and sometimes delicately scented, usually appearing before the foliage. 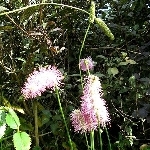 Looks wonderful naturalised under trees. 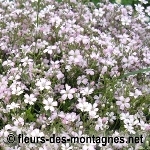 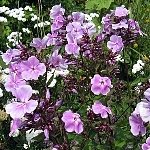 This pretty traditional cottage garden plant is long-flowering, producing masses of small, burgundy blooms with white edges. 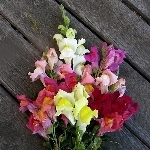 A good cut flower for posies. 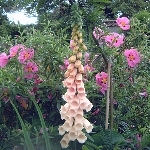 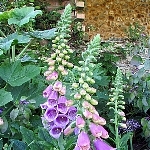 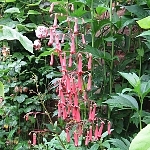 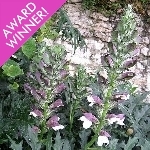 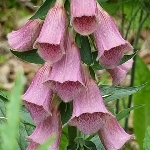 The traditional cottage garden foxglove comes in many colours and this, with its warm, pale pink spikes, is one of my favourites! 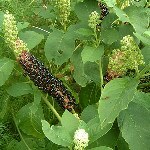 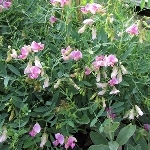 These seeds have been sourced from a commercial grower, so they should come true. 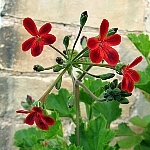 Sorry - plants and seeds sold out! 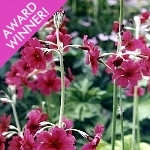 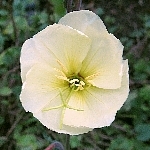 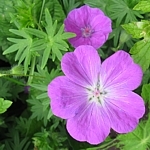 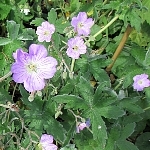 A very pretty low-growing hardy geranium. 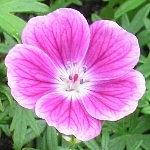 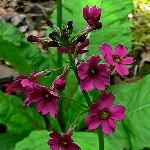 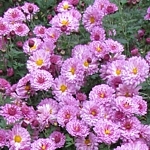 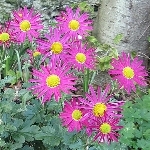 Bright magenta-pink flowers with a white eye and darker veining appear above finely divided foliage which has a tendency to trail. 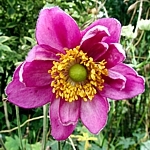 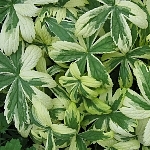 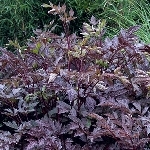 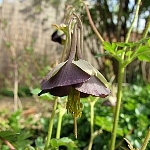 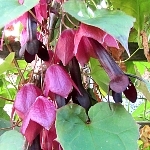 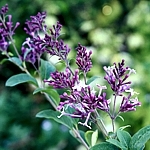 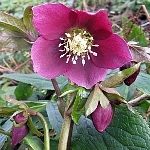 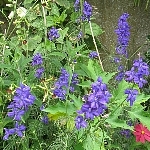 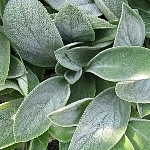 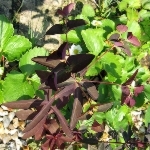 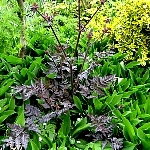 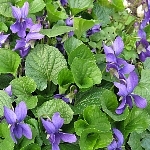 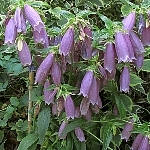 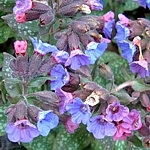 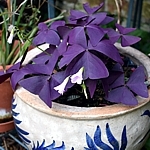 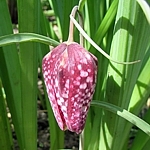 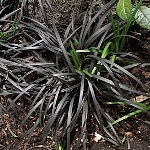 Although the plant is happy in full sun, it is useful for adding a touch of colour to areas in part-shade. 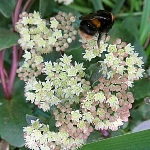 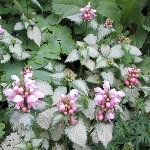 A favourite with flower arrangers, but loved by pollinating insects too, with masses of tiny flowers in shades of pink and white on delicate, ferny foliage. 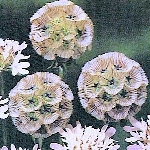 Grow en masse for best effect. 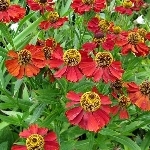 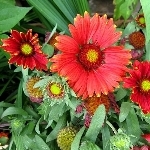 Although this helenium has daisy-like, mahogany red flowers with a brown cone, these seeds will be variable - but whatever comes up should be attractive in the hot bed and you may even discover a gem! 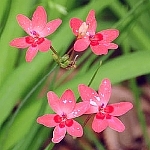 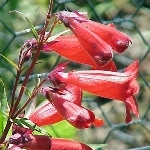 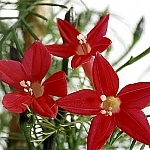 Sprays of coral-red, bell-shaped flowers appear in late spring on wiry stems above plump mounds of evergreen foliage. 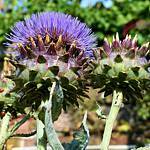 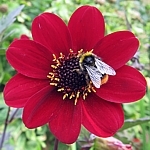 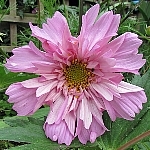 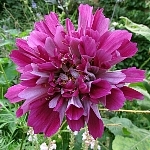 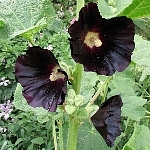 An excellent cut flower and very attractive to bees and other pollinators. 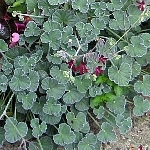 Good ground cover. 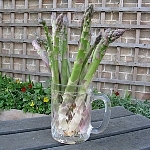 Sold out - more in the autumn! 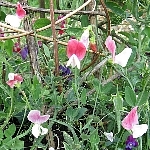 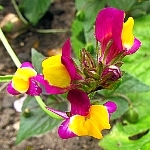 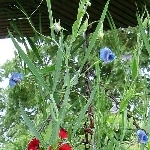 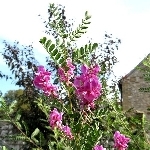 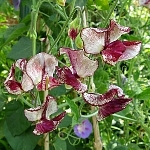 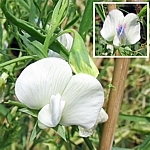 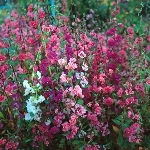 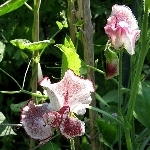 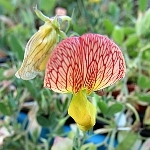 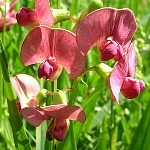 A lovely small perennial sweet pea with small, coral-red blooms and rounded foliage. 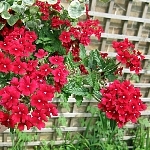 Ideal for growing over small structures or permitted to climb through medium-sized shrubs. 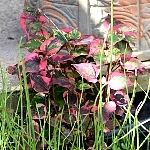 Just a few small plants available. 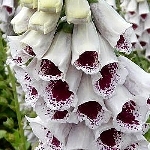 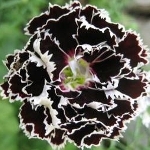 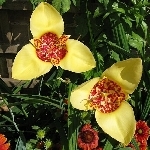 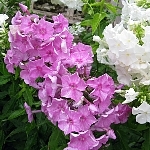 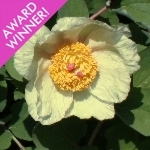 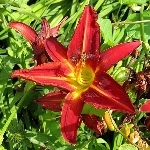 The blooms are unscented, but very attractive. 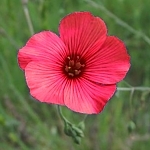 Like the more familiar blue and white variety, Linum usitatissimum, Scarlet flax produces a profusion of small flowers with a satiny finish, but - as is obvious from the name - they are a rich red. 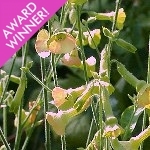 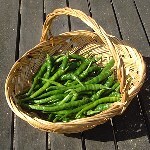 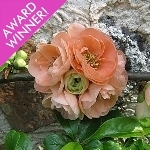 A very worthwhile annual to grow. 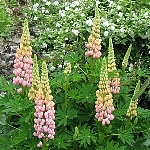 A popular cottage garden plant, the lupin produces tall spikes of bi-coloured flowers in a variety of shades in late spring/early summer. 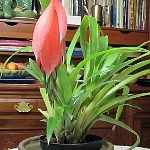 A dynamic plant that deserves to be better known! 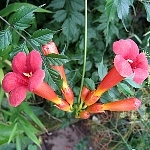 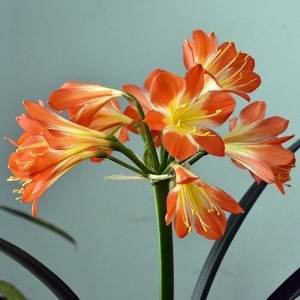 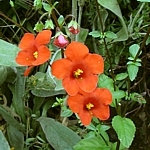 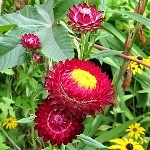 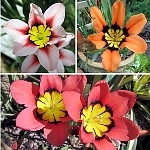 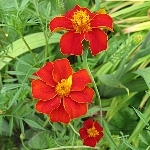 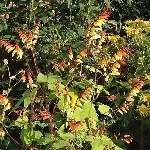 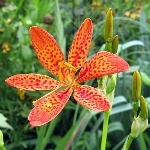 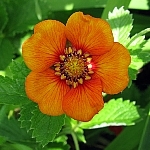 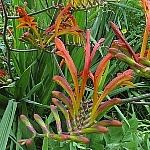 Red-orange flowers appear from June and continue flowering right through until early autumn, above beautiful bronze-green foliage. 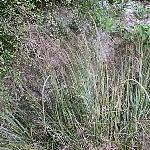 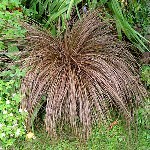 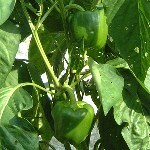 It has a bushy, dwarf habit, making it good plant for containers. 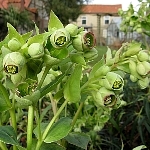 If sown early, under cover, it should flower in the first year. 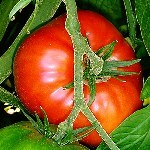 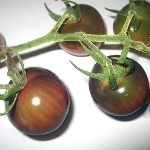 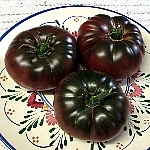 Medium-sized beefsteak-type tomatoes growing on sturdy vines. 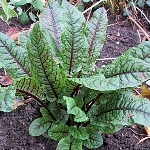 A wonderful, full flavour... an essential ingredient for authentic Mediterranean-style recipes and salads! 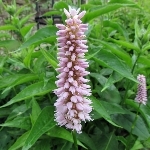 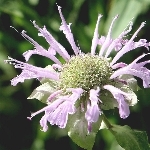 A beautiful perennial well known as a medicinal herb and for flavouring Earl Grey tea. 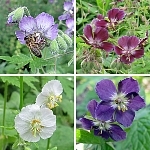 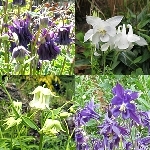 The masses of pale-mauve blooms are very attractive to butterflies, bees and other pollinating insects, The foliage is scented. 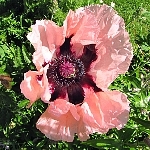 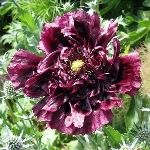 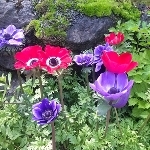 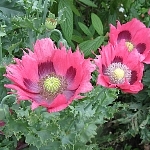 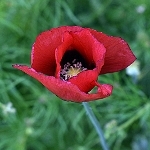 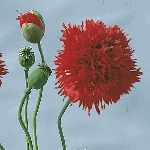 These lovely poppies, which have pink petals and a black centre, will, unlike many others, come true from seed. 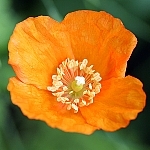 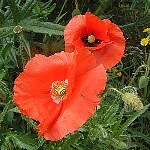 All the oriental poppies are gorgeous, with their huge, papery blooms, and are much loved by pollinating insects. 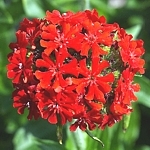 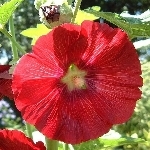 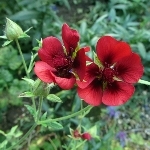 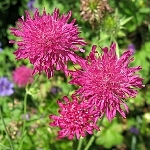 Lovely red frilly pom-poms on tall, strong stems make this a wonderful cut flower. 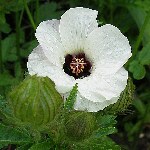 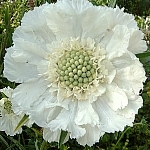 This is a mixture of Field, Ladybird (black-eyed), white-eyed and possibly other similar poppies. 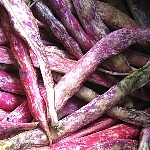 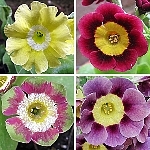 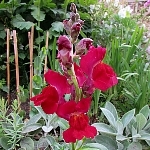 Most will be red, but there may be the occasional deep pink or pastel variety. 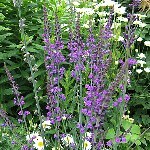 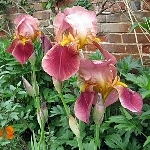 They look lovely planted in drifts towards the front of the border. 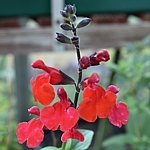 A lovely red perennial salvia, which is usually hardy, though winter protection is recommended in colder parts of the UK. 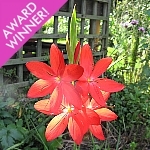 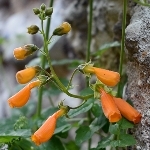 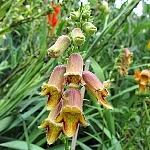 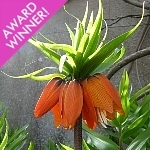 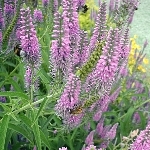 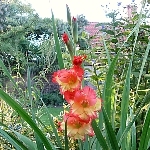 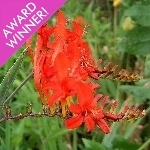 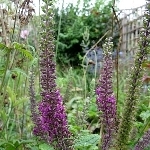 This attractive perennial is bushy plant growing to a height of around 24 inches/60 cm. 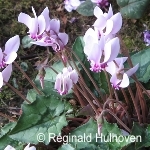 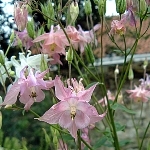 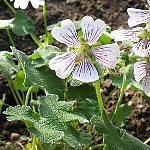 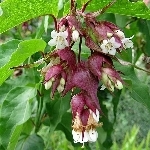 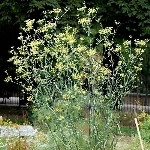 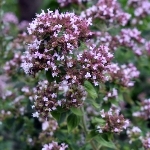 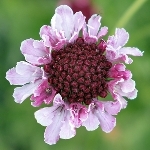 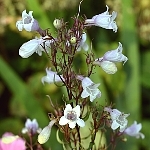 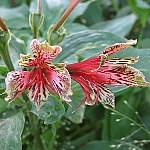 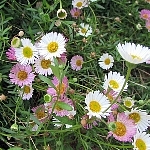 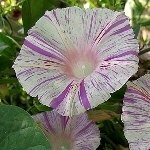 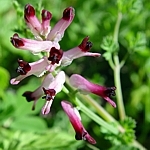 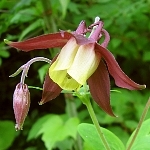 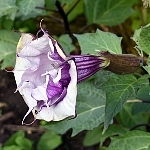 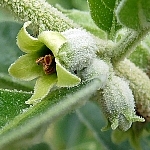 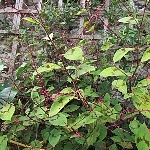 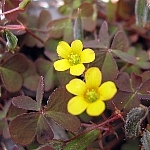 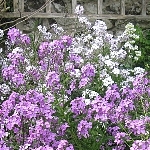 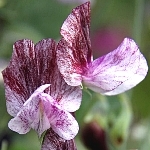 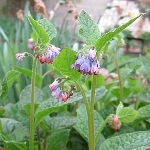 It has intricately divided foliage and produces masses of small flowers with deep-burgundy centres surrounded by paler petals, borne on wiry stems. 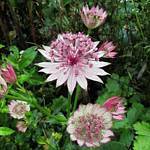 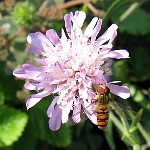 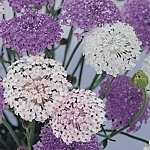 Attractive to butterflies and other pollinating insects and makes a good cut flower. 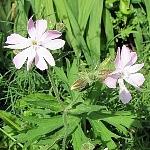 A hybrid of white and red campion. 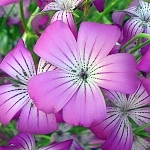 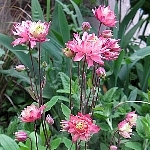 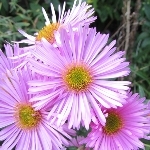 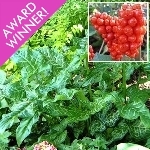 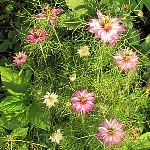 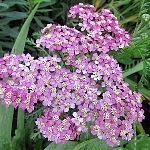 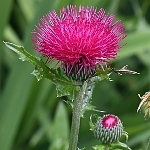 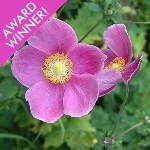 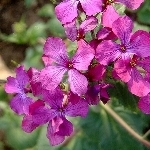 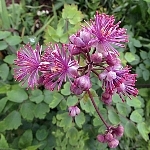 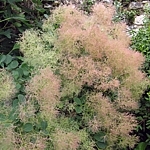 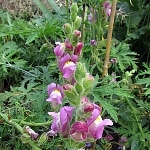 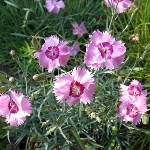 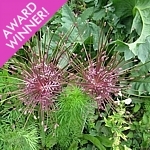 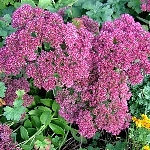 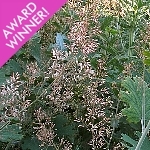 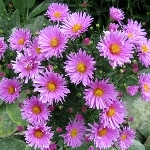 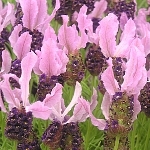 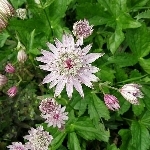 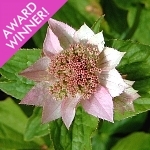 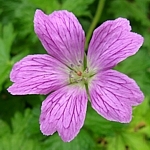 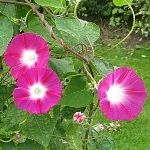 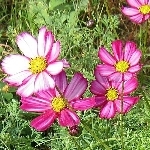 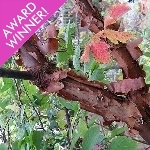 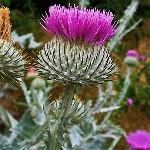 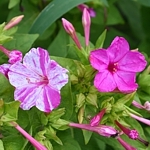 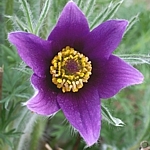 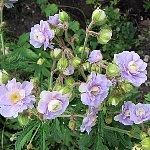 This lovely plant has sprays of nodding, fluffy, pinkish-purple flowers with long stamens above intricately divided foliage, followed by attractive seed heads. 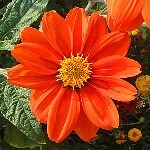 A good cut flower. 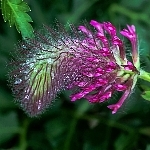 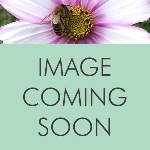 This ornamental clover is not only much loved by bees but makes a good cut flower. 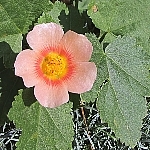 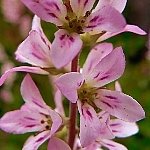 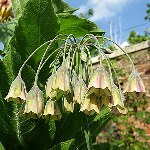 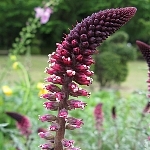 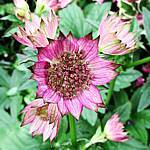 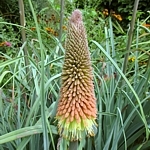 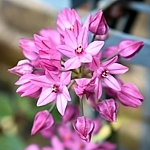 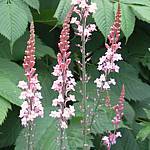 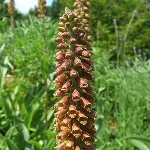 The flower spikes are soft to the touch and dusky-pink in colour. 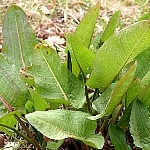 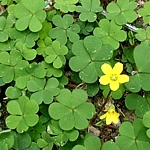 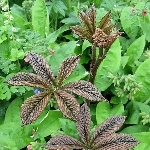 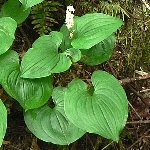 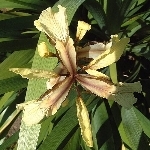 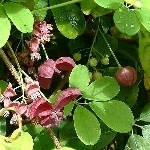 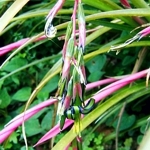 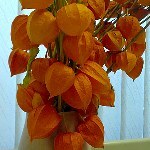 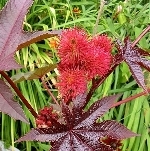 The foliage is interesting, in that it resembles that of peanut plants.